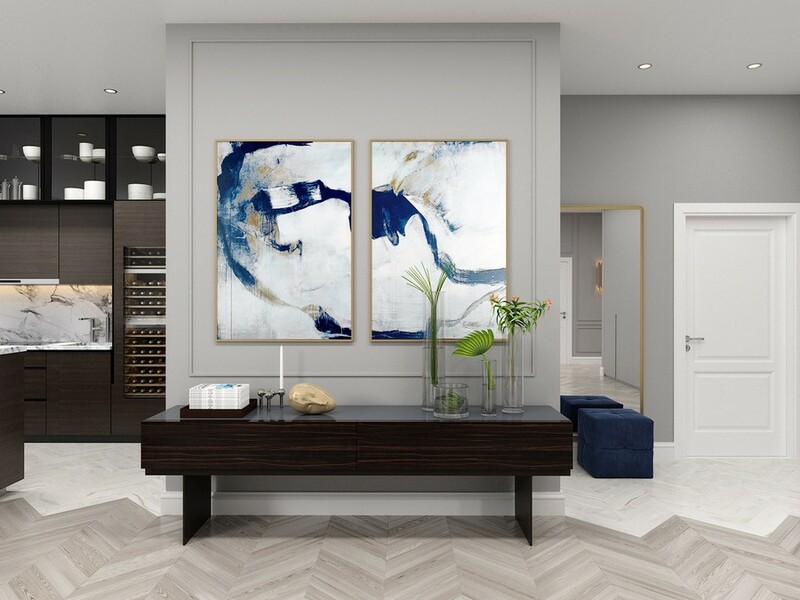 Though artworks haven’t become interior must-haves yet, many people wouldn’t mind hanging beautiful pictures, portraits or laconic posters in their homes. 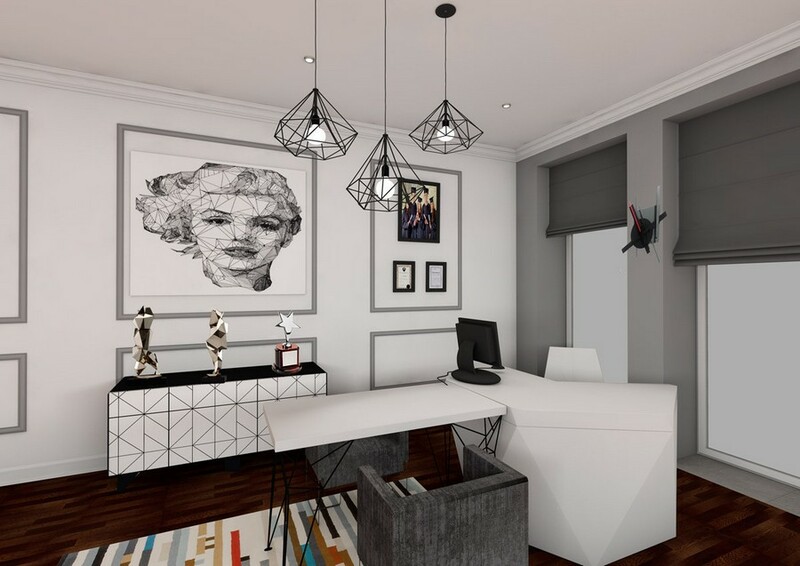 As for qualified decorators, artworks for them are one of the most important job tools. They make interiors more personal, customized, and their immense decorative potential inspires designers and decorators for bold and unusual solutions. That is why today we prepared a few tips from a pro on how to deal with art correctly. 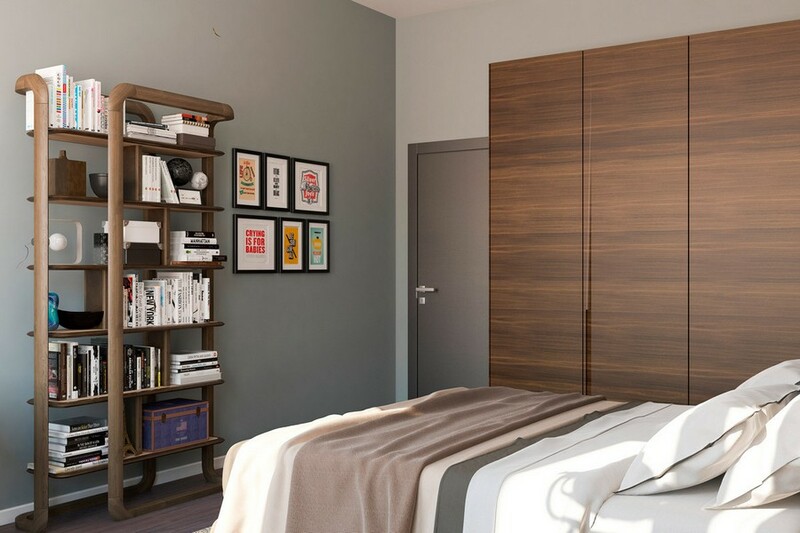 How should pictures be fit into different interior design styles? What is a passé-partout? What are the golden rules of art arrangement? You will find the answers to these and other questions in today’s post. The win-win option in picking artworks is to proceed from your interior style. 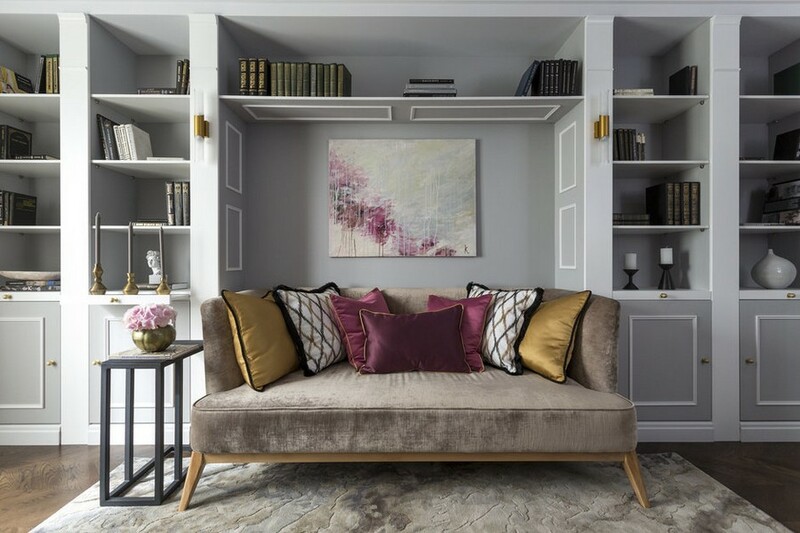 However, one of the top trends of home décor for today is mixing classical furniture with modern abstract art: this creates kind of a bridge between the past and the future. Order of classics and freedom of modern art are mutually reinforcing and emphasizing the beauty of each other. This makes interiors more complex and deep. One more popular designer trick in selecting pictures is making a color splash. 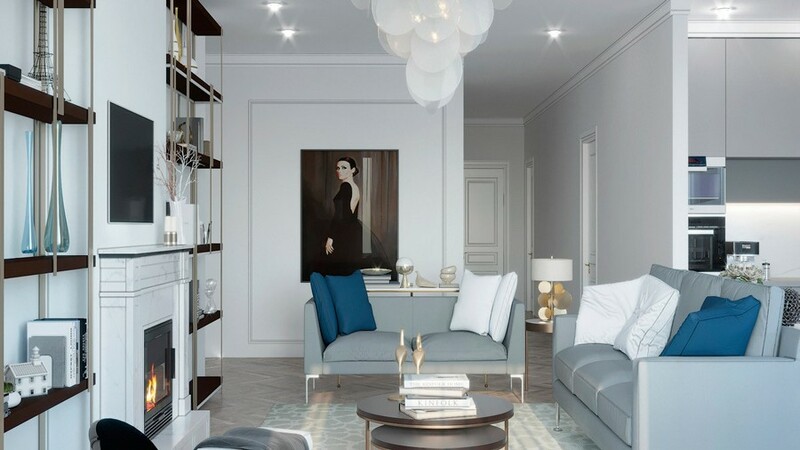 In this approach an artwork may play the role of a core that links all the colors found in the room together, or the other way round, it may create a badly needed contrast within a monochrome interior. How to choose a picture frame? The golden rule of choosing picture frames is that the frame should be complementing the artwork without distracting the observer’s attention from the latter. In other words a frame needs to be picked up to the picture, and not vice versa. There is also a general rule that big pictures look better in slim frames or without any frames at all. As for small paintings, they need a pretty wide frame or a combination of a frame and a passé-partout. What is a passé-partout and why do you need it? A passé-partout is needed to create a field around the image, which would allow for better eye-sight concentration and enhance the visual appeal of the picture. Very often it serves a color-balance purpose between the picture and its frame, or between the frame and the wall it’s hanging on. Besides, a passé-partout frequently features descriptive data giving the name of the art, its author, a place and year of “birth”. The width of a passé-partout should be at least 5-7 cm. Nota bene: the wider the passé-partout is, the more expensive and precious the artwork appears. This rule might be useful to you, if you use the passé-partout to emphasize how much this very piece of art means to you personally. The general rule says that the centre of the image should be at the eye-level of the observer (which is about 145-175 cm). This allows for the most comfortable perception of the picture. As for rooms with high ceilings, in them art should be arranged a little bit higher than in standard spaces. And big-scale abstract painting can be arranged right on the floor. What are the most advantageous locations for artworks? 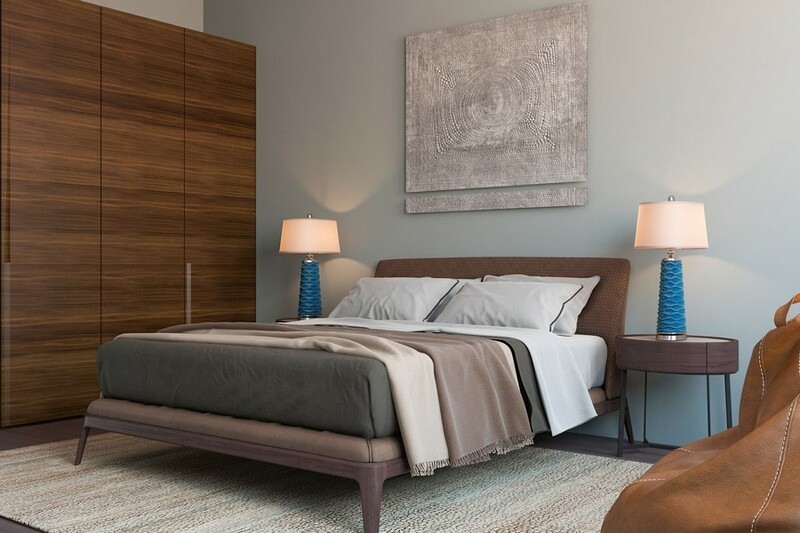 Paintings look very spectacular when hung above chests of drawers or consoles; this way the composition includes more three-dimensional pieces, such as lamps, sculptures, figurines or flower vases, and hence looks deeper and more expressive. Finally, it is a good idea to hang a picture so that it could be seen from the doorway. This trick attracts additional attention and engages the observer on the spot.